Welcome to Quirk VW Massachusetts. If you like a friendly sales team, certified service technicians, first-rate Volkswagen service, and genuine OEM VW parts then Quirk Volkswagen in Braintree is the right place for you. Stop by today for new and used Volkswagen sales or top quality service and maintenance and let Quirk Volkswagen in Braintree show you why we are one of the best in the Boston area. We have one of the largest inventories in MA which allows us to offer the best deals in the Boston area on all new and used Volkswagen vehicles. 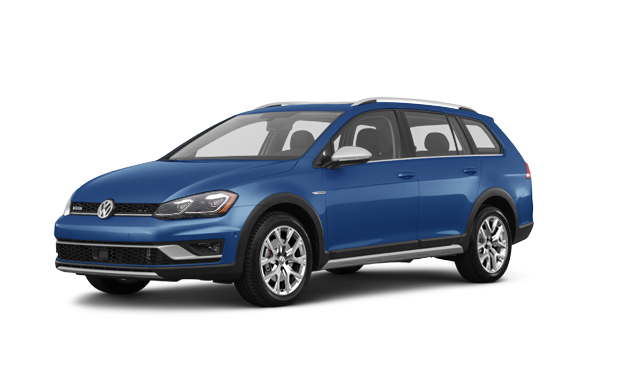 We offer a full lineup of new Volkswagen models from the Beetle to the Touareg as well as certified pre-owned Volkswagen vehicles and used cars from another make. At Quirk Volkswagen we put the customer first and strive to create to best car buying experience possible for every customer. Quirk Volkswagen in Braintree is a top choice for Volkswagen fans in MA because we listen to our customers and always strive to provide the bestcustomer service. Stop by to schedule a test-drive, or make an appointment to see our service technicians. We look forward to seeing you! Quirk Volkswagen in Braintree is committed to offering the widest selection in new and pre-owned Volkswagen vehicles in MA. Our large inventory and excellent service has been bringing customers from all over the Boston area back to Quirk. Quirk Auto Dealers has been in the automotive industry for almost 40 years. Our Volkswagen location in Braintree has been a staple in the Quirk Automotive Dealers success. Many of the sales and service teams have been in the company for years and have a habit of providing an unmatched level of service to all of our customers. As a premier Volkswagen dealer in MA, Quirk Volkswagen makes every effort to deliver a top quality inventory that is matched by top quality service. Come in to Quirk Volkswagen in Braintree and let us show you why we’re the best. Thank You to GEORGIA P. from E HARWICH, MA! Thank You to MATTHEW M. from CONCORD, MA! Congratulations to JUSTIN W. from NEWTON, MA!! Thank You to THOMAS L. from CONCORD, MA! Congrats to ROBERT S. from FRANKLIN, MA!! Congratulations to CHRISTINA W. from E MEDFORD, MA on Leasing a New VW Tiguan!! Best Wishes to ELIZABETH D. from PLYMOUTH, MA! Thank You to CHRISTOS K. from BRAINTREE, MA! Congratulations to LAWRENCE D. from BEVERLY, MA!! Thank You to MARK N. from JAMAICA PLAIN, MA! Thank You to ROBERT M. from COHASSETT, MA! Thanks Again to CHRISTINE C. from TEWKSBURY, MA on Purchasing a New Volkswagen Touareg!! Best Wishes to WILLIAM N. from MATTAPAN, MA! Best Wishes to AMELIE L. from SCITUATE, MA on Leasing a New 2015 VW Touareg!! Congrats to BRENDAN K. from W ROXBURY, MA! Congrats to KATHRYN M. from S WEYMOUTH, MA on Leasing a New Volkswagen Jetta!! Congrats to TIMOTHY M. from NAPLES, FL on Purchasing a New Volkswagen Passat!! Congrats to GRETCHEN N. from MILTON, MA on Leasing a New 2015 Volkswagen Jetta! Congrats to NAOMI C. from CAMBRIDGE, MA! Congrats to ERIC E. from MASHPEE, MA on Purchasing a New Volkswagen Golf!! Thank You to LAURA O. from MILTON, MA on Purchasing a New 2015 VW Jetta! Congrats to ANN T. from JAMAICA PLAIN, MA on Leasing a New 2015 Volkswagen Tiguan! Congrats to ERIKA B. from BOSTON, MA! Congratulations to RAYNA B. from DORCHESTER, MA on Leasing a New Volkswagen Touareg!! Thank You to HEATHER L. from W QUINCY, MA! Best Wishes to EDDIE M. from CHELMSFORD, MA on Leasing a New VW Jetta! Best Wishes to RACHEL W. from WEST NEWTON, MA on Leasing a New 2015 VW Tiguan! Congratulations to SCOTT K. from SWAMPSCOTT, MA!! Thank You to TERESA T. from BRAINTREE, MA! Congratulations to KATELYN B. from QUINCY, MA on Leasing a New VW Jetta! Congratulations to EMILY H. from BRAINTREE, MA on Leasing a New VW Jetta! Thank You to JOANNE F. from QUINCY, MA! Congrats to BRUNO L. from NORTH WEYMOUTH, MA! Best Wishes to SIMELA J. from W ROXBURY, MA! Thank You to JOSEPH V. from MEDFORD, MA! Thank You to MICHAEL M. from WINTHROP, MA! Congratulations to JOANN D. from QUINCY, MA!! Congrats to PAUL D. from WEYMOUTH, MA! Thank You to L WILLIAM E. from BOSTON, MA! Thank You to DAVID B. from HOPE, RI! Best Wishes to TIEN H. from DORCHESTER, MA on Purchasing a New 2015 VW GOLF GTI! Thank You to JAMES M. from BLACKSTONE, MA! Congratulations to JANET N. from STOUGHTON, MA!! Best Wishes to SUSAN Y. from DORCHESTER, MA! Best Wishes to GAIL D. from QUINCY, MA! Thank You to MICHAEL T. from DORCHESTER, MA! Congratulations to DOLORES M. from WINTHROP, MA!! Congrats to KENNETH L. from DEDHAM, MA! Best Wishes to ANNA P. from BOSTON, MA on Purchasing a New 2015 VW Golf!! Thank You to SARAH C. from QUINCY, MA! Best Wishes to ROBERT S. from PAWTUCKET, RI! Thank You to MICHAEL L. from MANSFIELD, MA! Best Wishes to KIM M. from CUMBERLAND, RI on Purchasing a New 2015 VW Beetle! Thank You to SETH F. from WESTFIELD, MA! Congrats to KEITH B. from WILMINGTON, MA on Leasing a New 2015 VW Jetta! Thank You to WAYNE P. from DORCHESTER, MA! Congratulations to REBECCA S. from BOSTON, MA!! Best Wishes to JOSEPH H. from FORESTDALE, MA on Purchasing a New 2015 VW Golf! Congratulations to MICHAEL M. from E BRIDGEWATER, MA!! Thanks Again to XIAONAN Y. from BRAINTREE, MA on Purchasing a New 2015 Volkswagen Touareg! Best Wishes to WING L. from BOSTON, MA on Leasing a New 2015 VW Jetta! Thank You to KATHERINE F. from HYDE PARK, MA! Thank You to ERIC H. from N READING, MA! Congrats to ERIC D. from ALLSTON, MA on Purchasing a New 2015 Volkswagen Jetta! Thank You to EVELYN M. from ATTLEBORO, MA! Thank You to CALI B. from MALDEN, MA! Congratulations to PHILIP G. from BRAINTREE, MA on Leasing a New VW e-Golf!! Thanks Again to STEPHEN H. from KENNEBUNK, ME on Purchasing a New 2015 VW Tiguan! Best Wishes to BRANDON C. from ROCKLAND, MA on Purchasing a New 2015 VW Golf! Congratulations to ANN D. from QUINCY, MA!! Thank You to GIUSEPPE L. from DORCHESTER, MA! Congratulations to KATHLEEN D. from MALDEN, MA!! Best Wishes to FRANK A. from REVERE, MA!! Thank You to MARK L. from NORTH EASTON, MA! Congrats to DENNIS M. from WRENTHAM, MA!! Thanks Again to CHRISTINE C. from TEWKSBURY, MA on Purchasing a New 2015 Volkswagen Touareg! Congratulations to JOSEPH C. from WINTHROP, MA on Leasing a New Volkswagen Golf!! Best Wishes to PETER H. from BROOKLINE, MA! Best Wishes to DAVID O. from HINGHAM, MA on Leasing a New 2015 VW Jetta! Best Wishes to EVELYNE J. from DORCHESTER, MA! Thank You to JACEK R. from CAMBRIDGE, MA! Congratulations to JOHN J. from QUINCY, MA!! Thank You to DALINDA I. from DORCHESTER, MA! Thank You to GARY M. from HOPKINGTON, MA! Thanks Again to JILLIAN B. from SOMERVILLE, MA on Leasing a New Volkswagen Tiguan!! Thank You to BRIEN B. from FOXBOROUGH, MA on Leasing a New 2015 Volkswagen Passat! Best Wishes to DULCE P. from STOUGHTON, MA on Purchasing a New 2015 Volkswagen Tiguan! Best Wishes to STEVEN M. from NEWTON, MA on Purchasing a New VW Jetta SportWagen!! Best Wishes to PETER F. from MIDDLEBORO, MA! Congrats to STEPHANIE F. from WEYMOUTH, MA on Leasing a New 2015 Volkswagen Jetta! Congrats to DIANA R. from BURLINGTON, MA on Leasing a New 2015 VW Passat! Congratulations to GARY B. from PLYMOUTH, MA!! Congrats to QUINN P. from QUINCY, MA! Congrats to JESSICA O. from HULL, MA on Leasing a New 2015 Volkswagen Tiguan! Congrats to LINDA J. from AVON, MA! Best Wishes to JOANNE T. from HINGHAM, MA! Congrats to VILMA G. from RANDOLPH, MA! Thank You to PETER H. from NEWTON, MA on Purchasing a New 2015 Volkswagen Golf R! Best Wishes to MARGARET C. from N QUINCY, MA!! Congratulations to CHANDANA W. from PAWTUCKET, RI!! Congrats to ARSENE P. from BOSTON, MA on Leasing a New 2015 Volkswagen Passat! Congrats to ROBERT M. from COHASSET, MA! Thank You to ROBERT O. from HINGHAM, MA! Thank You to DAWN M. from WESTPORT, MA! Best Wishes to WILLIAM S. from WINCHESTER, MA! Thanks Again to ALLISON J. from QUINCY, MA on Leasing a New 2015 VW Tiguan! Congrats to KERRIE D. from CHARLESTOWN, MA!! Congratulations to LAUREN D. from DORCHESTER, MA!! Congratulations to ANTHONY S. from WOBURN, MA!! Thank You to SUZANNE Z. from MILTON, MA! Best Wishes to TERESA D. from MILTON, MA! Thank You to KATHLEEN D. from MARSHFIELD, MA! Thanks Again to BIANCA S. from WINTHROP, MA on Leasing a New Volkswagen Jetta! Best Wishes to WILLIAM P. from SANDWICH, MA on Leasing a New 2015 Volkswagen Golf! Best Wishes to HOANG N. from STOUGHTON, MA! Congrats to ALEYA G. from REVERE BEACH, MA! Best Wishes to SAMANTHA V. from CHESTNUT HILL, MA on Leasing a New 2015 VW Tiguan! Thank You to MOLLY G. from ARLINGTON, MA! Thank You to JASON C. from N PROVIDENCE, RI! Best Wishes to RAYNA B. from CANTON, MA!! Thank You to JOHN W. from BOSTON, MA! Thank You to R M. from PLYMOUTH, MA! Best Wishes to SAMANTHA V. from CHESTNUT HILL, MA on Leasing a New VW Tiguan! Thank You to CUONG H. from LINCOLN, MA on Purchasing a New 2015 Volkswagen Jetta! Thank You to ROBERT K. from N EASTON, MA! Thanks Again to WILLIAM P. from SANDWICH, MA on Leasing a New 2015 VW Golf! Congratulations to DAVID Y. from WOBURN, MA on Leasing a New Volkswagen Jetta!! Congrats to CORINA G. from CONCORD, MA! Congratulations to BEVERLY M. from MILTON, MA on Leasing a New VW Passat!! Best Wishes to KATHLEEN K. from MILTON, MA! Congrats to PETER N. from ATTLEBORO, MA on Leasing a New 2015 Volkswagen GOLF GTI! Thanks Again to JUNG C. from BABSON PARK, MA on Purchasing a New 2015 Volkswagen Tiguan! Best Wishes to DENISE D. from QUINCY, MA! Best Wishes to JENNIFER C. from S BOSTON, MA on Leasing a New 2015 Volkswagen Tiguan! Thank You to EDWARD J. from BRAINTREE, MA! Congrats to STANLEY H. from HARWICH, MA! Congrats to BENJAMIN S. from DORCHESTER, MA! Best Wishes to MARGUERITE K. from PORTLAND, ME!! Congrats to CARRIE B. from READING, MA! Best Wishes to JARROD W. from TAUNTON, MA!! Congrats to PETER G. from HINGHAM, MA! Best Wishes to JAMES C. from MILFORD, MA on Leasing a New VW Passat!! Best Wishes to JONATHAN E. from BRAINTREE, MA on Leasing a New 2015 Volkswagen Jetta! Thank You to JEFFREY S. from NORWELL, MA! Congrats to SUZANNA Z. from SOUTH BOSTON, MA!! Thank You to CARLA R. from ROXBURY, MA on Leasing a New 2015 Volkswagen Passat! Thank You to PRAVIN K. from N ATTLEBOROUGH, MA! Congratulations to KRISTEN A. from QUINCY, MA!! Best Wishes to LAPCHI C. from BOSTON, MA on Leasing a New VW Tiguan!! Congrats to JAMES D. from DORCHESTER, MA on Leasing a New 2015 VW Tiguan! Congrats to MARTIN W. from E SANDWICH, MA on Purchasing a New 2015 VW Jetta SportWagen! Best Wishes to MARTIN W. from E SANDWICH, MA! Thanks Again to SCOTT J. from HULL, MA on Purchasing a New VW Tiguan! Thank You to CYNTHIA R. from WEST ROXBURY, MA! Best Wishes to GEORGE C. from MILTON, MA!! Thank You to ANIL C. from WESTWOOD, MA! Best Wishes to PHUONG T. from QUINCY, MA on Purchasing a New 2015 VW GOLF GTI! Best Wishes to SNAP S. from BRAINTREE, MA on Purchasing a New 2015 Volkswagen Jetta SportWagen! Thank You to SU L. from DORCHESER, MA! Congrats to MORGAN D. from FRANKLIN, MA on Leasing a New 2015 VW Tiguan! Thank You to HAROLD M. from ROCKLAND, MA! Best Wishes to JOHN B. from BRAINTREE, MA! Thanks Again to MARK Q. from SOUTH BOSTON, MA on Leasing a New Volkswagen Jetta!! Best Wishes to CAROL C. from SWAMPSCOTT, MA! Congratulations to KRISTEN B. from MILTON, MA!! Congrats to KENDRA M. from KINGSTON, MA on Leasing a New Volkswagen Passat!! Thanks Again to LISA R. from BRIGHTON, MA on Purchasing a New 2015 VW Tiguan! Thank You to HOWARD P. from PLYMOUTH, MA! Congratulations to LAURA T. from WELLESLEY, MA!! Thank You to JULIE D. from E FALMOUTH, MA! Best Wishes to JUSTIN H. from FRAMINGHAM, MA on Purchasing a New 2015 VW Passat! Thanks Again to COLLETTE H. from S BOSTON, MA on Purchasing a New Volkswagen Passat!! Best Wishes to GERALD D. from S WEYMOUTH, MA! Best Wishes to RYAN L. from BRIGHTON, MA on Leasing a New 2015 VW Jetta! Thanks Again to JUSTIN G. from BOSTON, MA on Leasing a New 2015 VW Tiguan! Best Wishes to PAUL D. from S WEYMOUTH, MA on Purchasing a New VW Jetta! Best Wishes to DOUGLAS T. from FOXBOROUGH, MA on Purchasing a New VW Tiguan!! Thank You to SHENGSHI W. from WALTHAM, MA! Thank You to WAYNE B. from ATTLEBORO, MA! Best Wishes to MEGHAN F. from NORWOOD, MA on Leasing a New 2015 VW Passat! Best Wishes to PIERGIORGIO P. from QUINCY, MA on Leasing a New VW GOLF GTI! Congratulations to JACKSON L. from QUINCY, MA!! Thank You to JANET N. from MILTON, MA! Thank You to KIRSTEN D. from BOSTON, MA! Congratulations to YULY M. from CENTERVILLE, MA!! Best Wishes to NEIL N. from MILTON, MA on Leasing a New 2015 Volkswagen Jetta! Thank You to NIKKI W. from NEEDHAM, MA! Best Wishes to KENNETH H. from NATICK, MA on Leasing a New VW Golf! Congrats to LINDA C. from DEDHAM, MA on Leasing a New 2015 VW Tiguan! Thank You to RYAN S. from BOSTON, MA! Thank You to JACQUELINE M. from BRIDGEWATER, MA! Best Wishes to JEHUDA R. from BROOKLINE, MA on Leasing a New VW Eos! Best Wishes to J S. from HULL, MA! Congratulations to LEONA W. from ROXBURY, MA on Purchasing a New VW Jetta! Thank You to LIA B. from MELROSE, MA! Best Wishes to JOHN P. from SALEM, MA!! Best Wishes to RAMUNE G. from BOSTON, MA on Purchasing a New 2015 Volkswagen Jetta! Congrats to CYNTHIA L. from NEW BEDFORD, MA on Purchasing a New 2015 Volkswagen Beetle! Congratulations to ZHENG S. from QUINCY, MA!! Best Wishes to NEAL W. from ROSLINDALE, MA on Leasing a New VW GOLF GTI!! Congrats to BRENDAN D. from CHELSEA, MA! Thanks Again to JESSICA M. from E FALMOUTH, MA on Purchasing a New Volkswagen Passat!! Congratulations to ROBYN G. from BRAINTREE, MA!! Congratulations to LOUISE R. from NAHANT, MA!! Congratulations to LYNDSEY S. from HINGHAM, MA on Leasing a New Volkswagen Passat! !